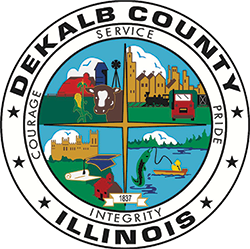 The DeKalb County Rehab and Nursing Center is a 190 bed skilled-care nursing facility serving individuals in need of rehabilitation or long term care. As people are living longer and our aging population is growing rapidly, the DeKalb County Nursing Home Foundation maintains its dedication to meeting some of the evolving needs of seniors in DeKalb County. Changing from an independent lifestyle can often lead to depression or physical and mental decline. Social outings and activities provide mental and physical stimulation that aids in the transition process. Every gift makes it possible for the Rehab and Nursing Center to continue to deliver these services, while developing creative means to meet new and growing needs of our residents. Your contribution to DeKalb County Nursing Home Foundation is an investment in high quality care. Residents are the beneficiaries of your contribution. All gifts are appreciated.